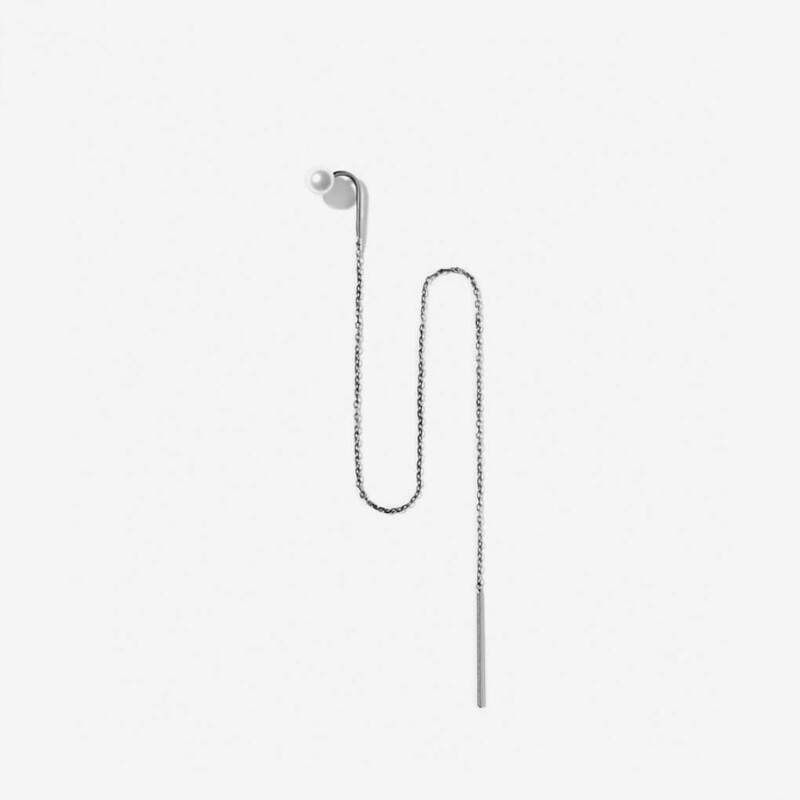 Minimalistic scandinavian design is elegantly presented in this subtle earring from Line & Jo. Earring is made from matte sterling silver with grey ruthenium. Set with 1 x 4,5 -5 mm fresh water pearl. 1 x Miss Efrona One Grey Pearl was added to your shopping bag. 1 x Miss Efrona One Grey Pearl was added to your wishlist.